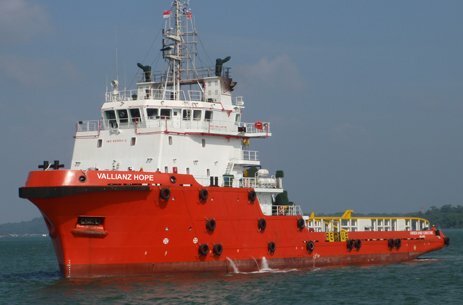 Singapore OSV operator Vallianz Holdings has sealed long-term charters for four vessels valued at up to a total of $115m. Vallianz has won a contract for the three-year charter of an OSV for operations in the Red Sea with an offshore marine services company in Egypt, the company’s first contract in the country. In Turkmenistan, Vallianz has clinched a three-year charter for another OSV with an offshore chartering company for operations in the Caspian Sea. It is marks the company’s first contract on the country as well as the Central Asia region. Meanwhile in the Middle East, Vallianz will supply two maintenance and accommodation OSVs to a national oil company for five years, with two-year extension options available. The vessels will be used to support the client’s maintenance operations and accommodation requirements for its offshore oil and gas activities in the Arabian Gulf. The two vessels will be added to the company’s fleet and are scheduled to commence charters progressively starting later this year. “Vallianz is one of the largest OSV providers in the Middle East and has now expanded our footprint to include Egypt. We are pleased that the group has started to make headway in our strategy to increase penetration in other target markets in the Middle East region. Besides the Middle East region, our first contract win in Turkmenistan will also enable the Group to access a new market in Central Asia,” commented Ling Yong Wah, CEO of Vallianz.